Update 8/23/12: Sold for $72,450 including premium. 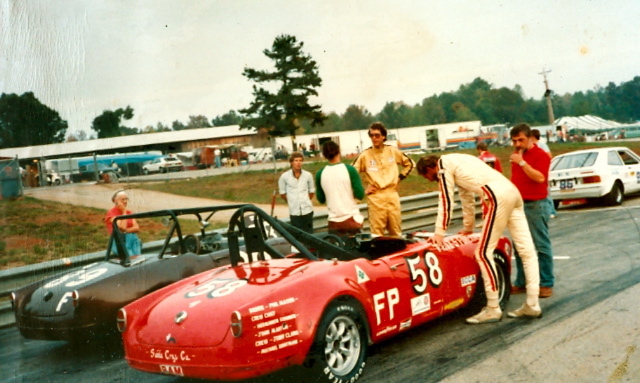 I got this picture taken at Road Atlanta circa 1983 from Michael McClure, then owner of the brown Giulietta racer and wearing the gold race suit talking to Martin Krilanovich (in green sleeves). The red car is Sophia with Phil Mason in white racing suit leaning over it talking to his crew chief Jerry. Time flies. 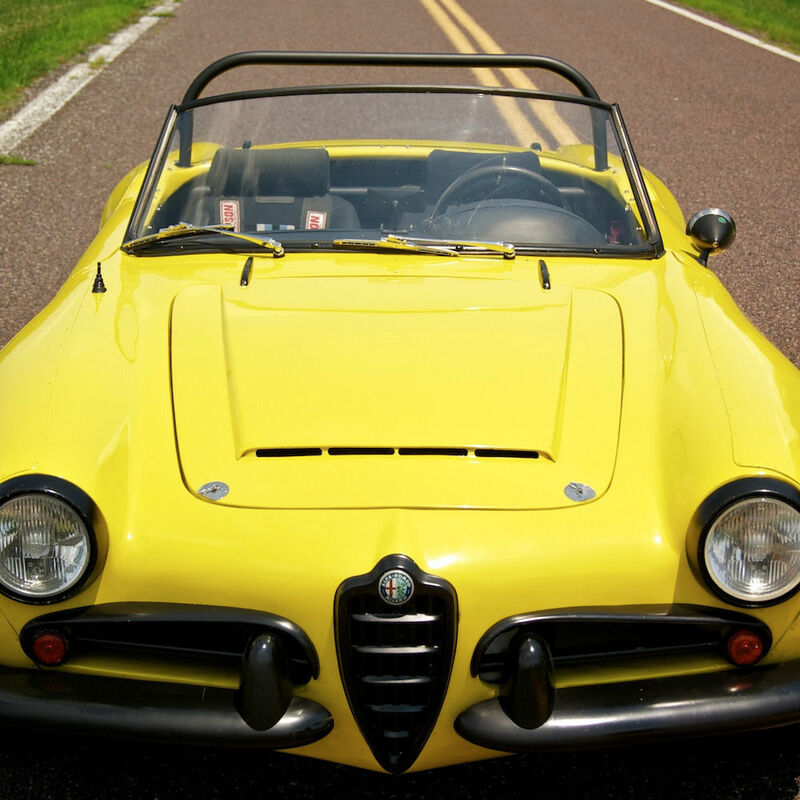 Giulietta Spider 750D 1495*03083, 1315*41849. The late Al Leake Jr. raced Sophia to much success on the west coast. I can remember seeing them many times at Sear’s Point and Laguna Seca -always out front or nearly so -even against cars that on paper ought to have gotten around the track faster -even if driven by lesser drivers. I don’t remember where I heard/read it, but I seem to recall that Sophia is one of the winning-est race cars in history. Lineage includes prior ownership by Phil Mason and connection to H. B. Luginbuhl, who some say had a lot to do with development early on. 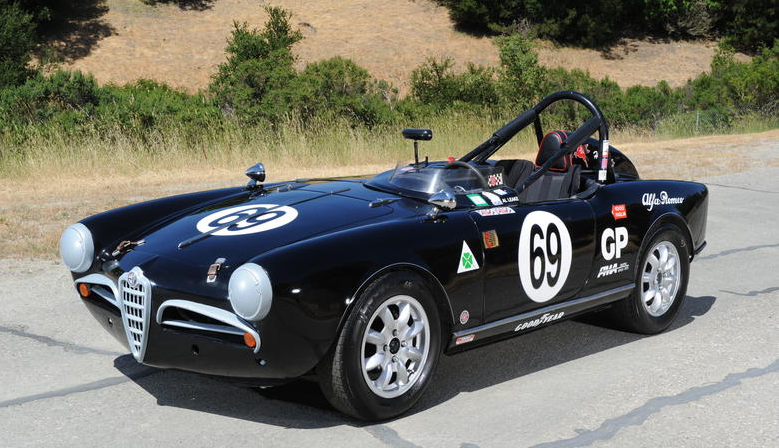 Anyway, Sophia is being auctioned by Bonhams this coming Monterey weekend. Estimate is $65,000 – $85,000. It’s too bad the seller chickened out and omitted the rubber chicken that used to be seen dangling from the trunk -oh well, maybe that rubber chicken is a stuffed trophy over someones mantle now next to a 12 point buck or buffalo head. Tasteful for a dedicated race car. Development started in the mid-70’s and by the late 80’s Sophia was a potent machine. Fiberglass grill and trim? There are a lot of pictures like this -blurry race shots that evoke days gone by and racing fun. Fergats have a reputation for breaking under heavy use. I wonder if this guy suffered any breaks? 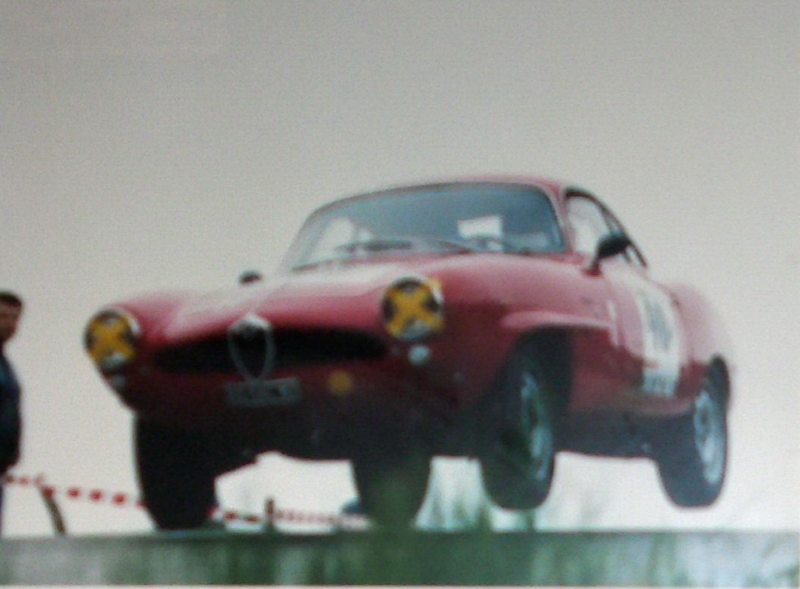 Giulietta Sprint Zagato. 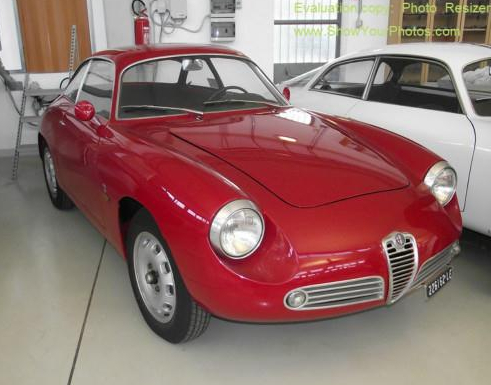 Sharing warehouse space with yesterdays SZCT in Italy, and also on offer on Autoscout is this very clean Sprint Zagato. 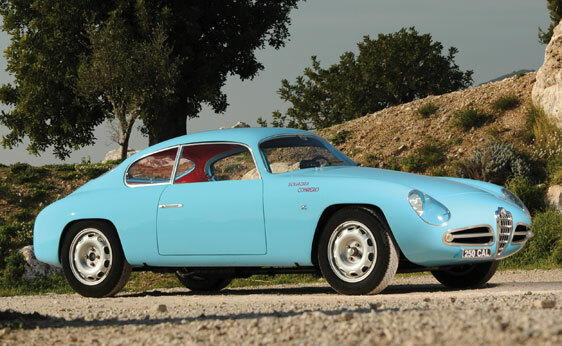 Asking price is €300,000, a lot of money for a little car, but these have always been 2 to 3 times the cost of a Sprint Veloce Lightweight, so maybe comparatively speaking they have lost a little ground. Not enough of these change hands to form a basis for a sound cost analysis, so the money has to be relative to your ability to buy it. As with yesterdays SZCT, I’m far form expert so will reserve my commentary to appreciation for design -always a safe ground to stand on with Zagato products of the 50’s and 60’s. A very potent race car in its day. Short, low and light. Zagato had a head start on the design since they had converted crashed cars into Sprint Veloce Zagato’s for customers, with the final iterations being VERY similar in appearance to the Alfa sanctioned SZ seen here. Period alloy wheels? 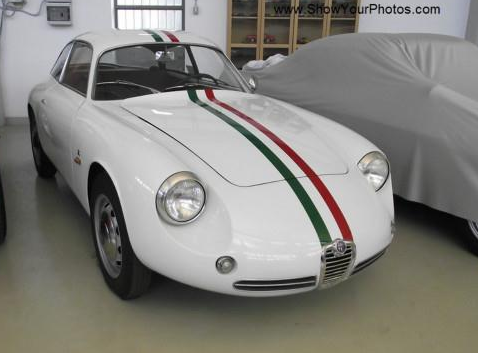 Giulietta Sprint Zagato ‘Coda Tronca’. 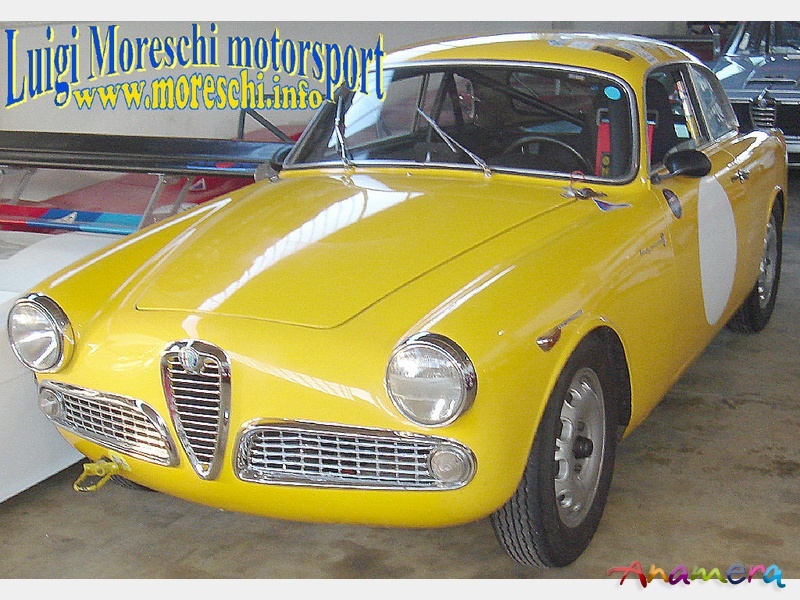 Elmar sent me a link to this car on Autoscout, for sale out of Italy for €270,000. They made about 200 SZ’s, the last handful of which were ‘Coda Tronca’ (CT is how I abbreviate it other places) with the Kamm tail. I have no authority to say anything about these cars, so will keep the commentary to a lot of ‘oohs’ and ‘aaahs’. Anyone know the VIN of this car? A handsome critter. Note they figured out how to incorporate a wind deflector into the hood. I wonder if it also provides pressure relief for the engine compartment like the louvers on an SS hood? Helps keep the front end from getting light at speed. That nose is like a big egg; white, bulbous and extremely fragile. No parallel parking allowed in a car like this.